The country's economy is dominated by agriculture, which employs about 40 percent of the working population. Ghana is one of the leading exporters of cocoa in the world. It is also a significant exporter of commodities such as gold and lumber. A country covering an area of 238,500 square kilometres, Ghana has an estimated population of 22 million, drawn from more than one hundred ethnic groups - each with its own unique language. English, however, is the official language, a legacy of British colonial rule. The Kakum National Park is made up of mostly undisturbed virgin rainforest and is one of the famous national parks in Ghana. 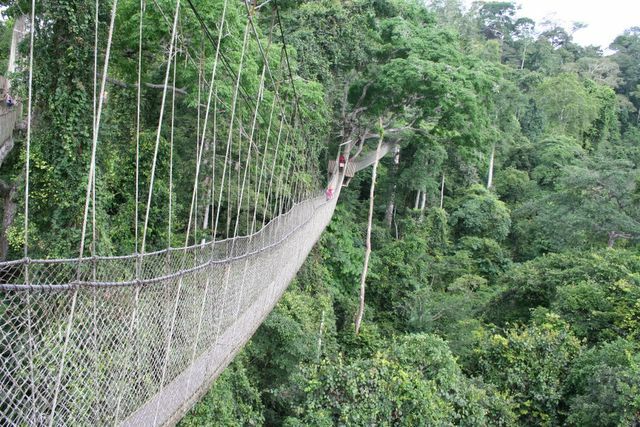 Kakum National Park is situated about 33km north of Cape Coast, Central Regional capital and about 170km from Accra. It covers an area of 350km2 (including Assin Attandanso Resource Reserve)The vegetation type is Moist evergreen rainforest with tall hardwood trees up 65m in height. Other features includes 30 and 40m high canopy walkway suspended between trees and from which different species of birds and butterflies can be observed. Ghana's Atlantic Coast is lined with old forts (castles) built by various European powers during the 17th Century. The Cape Coast Castle was built for the slave-trade and is one of the most impressive of Ghana's old forts. It was originally built by the Dutch in 1637, later expanded by the Swedes, finally the British took control of it in 1664 and turned it into their colonial headquarters. 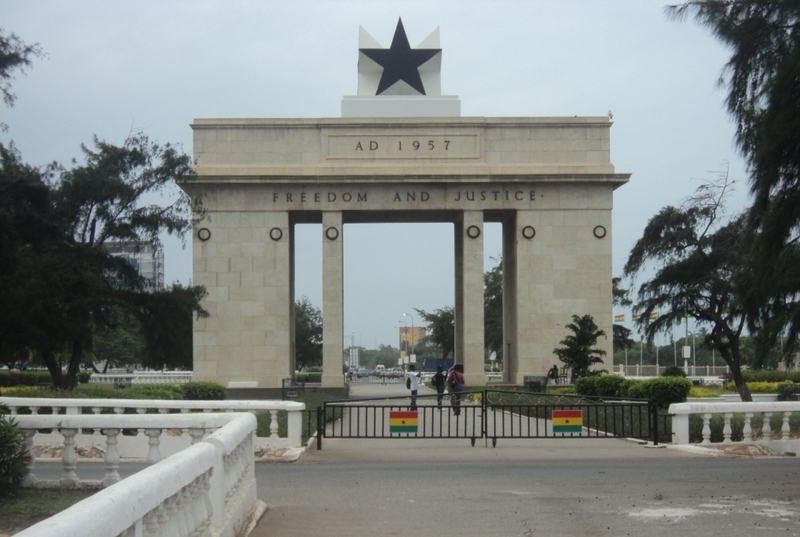 It stayed that way for the next 200 years until they moved the capital to Accra in 1877. The Cape Coast Castle is now an excellent museum with information about the history of Ghana, the slave-trade and local culture. 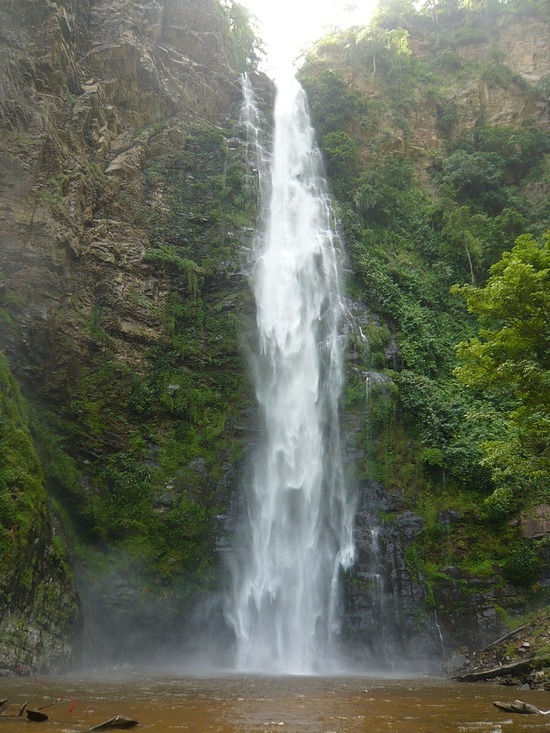 Wli Falls is located about 20km from Hohoe, in the Wli Natural Reserve. An hour's walk through cool shades of the forest will lead you to Ghana's highest waterfalls which flows throughout the year. It is located at the edge of the Agumatsa Wildlife Sanctuary, which has hundreds of fruit bats, but no wildlife that you would see. There are a couple of guesthouses at the falls for an overnight experience. Note that Wli Falls also has an upper falls. It is a very strenuous hike and generally cannot be done during the rain season. But if you are adventurous, healthy and strong, it is a worthy goal to reach the rarely visited upper falls. Mole National Park is the largest national park in Ghana and provides the best wildlife experience in Ghana. This was the first national park to be established in Ghana and it covers an area of 4,912km². Mole National Park has the widest range of wildlife in Ghana and is the only place in Ghana where you can experience elephants in the wild. In addition to the elephants, you will see antelope, bushbucks, monkeys, warthogs, baboons and other smaller wildlife. Mole National Park is reasonably well set up to cater for tourists. 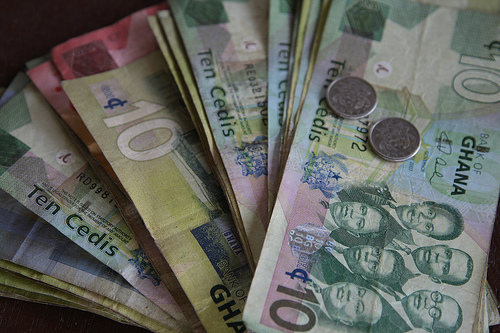 Although it is more expensive than many other parts of Ghana. it is well worth a visit.